Neck pain, sweat, bad support, go flat, chronic neck pain, upper back pain, migraine? 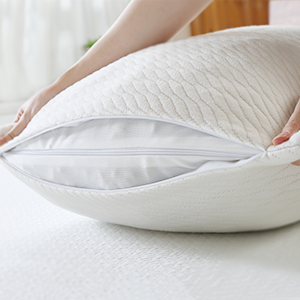 Having troubles sleeping because of the pillow not for you？ We know what you need. 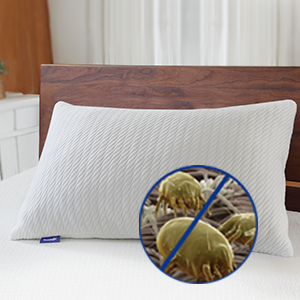 We are the maker, after testing countless materials between fluffiness, supportive, comfort, adjustability… We have created this pillow exactly what you need no matter who you are or how you sleep, just for a healthier you. 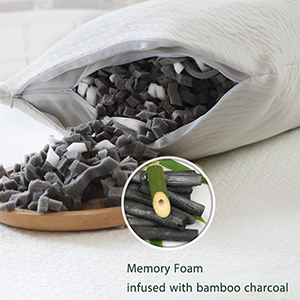 What Sweetnight Bamboo Charcoal Shredded Memory Foam Pillow offers? – Completely customizable the loft exactly the way you want by adding or removing foam. 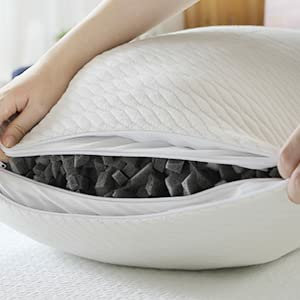 – Premium materials of bamboo pillowcase and activated bamboo charcoal memory foam for sleep cooler, prevents neck and back pain, proper spine alignment. 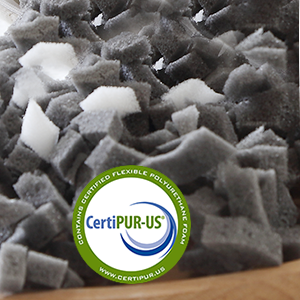 Bamboo charcoal infused memory foam for deodorizing, air purifying, moisture and wicking. Provides the plushness, breath-ability, shape-ability and better support. Easy to care and maintain. Removable pillowcase is machine washable. Kindly allow it to fluffy up to its full size in about 1-2 hours. Knead, pat, shake and let it air out as this will help more. No worry if it has a slight odor, its normal with new foam. Allow it to air out in a ventilated place, smell dissipate fast.